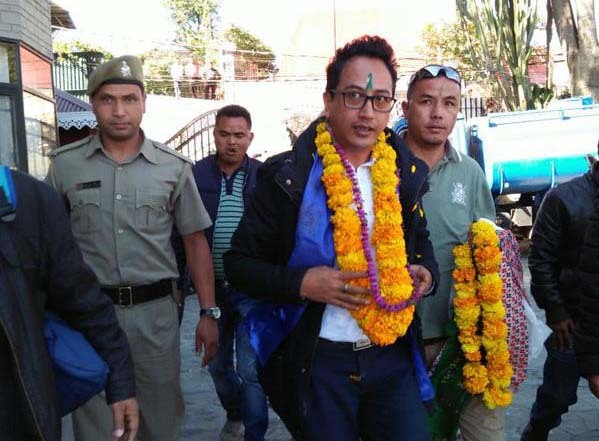 Darjeeling: The Bengal government has constituted a Hill Area Development Committee for the districts of Darjeeling and Kalimpong and appointed GNLF chief Mann Ghisingh as its chairman. Observers said the move was intended at co-opting the second largest party in the hills in the development process after acknowledging the Binay Tamang faction of the Gorkha Janmukti Morcha as the predominant political force in the region. The Trinamul Congress has had an electoral understanding with the GNLF since 2011. The government had earlier appointed Ghisingh as the vice-chairman of the North Bengal Board of Development of Sports and Games and later inducted him into the board of administrators at the GTA. The GNLF chief had, however, declined both the offers. "He probably wanted something with independent powers...,"said a source. Sources said Ghisingh was on Tuesday handed over a notification issued by the state's home and hill affairs department. According to the notification, Mahendra Chhetri, GNLF general secretary, has been made the vice-chairman while party colleague Ajoy Edwards and Shubhomoy Chatterjee of Trinamul have been made members. GNLF spokesperson Neeraj Zimba said he had received the government notification. "It is an interim body until a permanent solution is reached for the hills. The permanent solution is Gokhaland but in the present circumstances, this might not be possible. We are looking at some credible and constitutionally recognised body and consulting legal experts. After that, we will place our suggestion to the state government," he said. The Bengal government has constituted a Hill Area Development Committee for the districts of Darjeeling and Kalimpong and appointed GNLF chief Mann Ghisingh as its chairman.